Shiv Sena and BJP have both failed to win a majority in the Kalyan-Dombivli civic polls. What next? The BJP-Shiv Sena alliance may still be running Maharashtra. But on the back of the recent face-offs between the allies, elections to the Kalyan-Dombivli Municipal Corporation and the Kolhapur Municipal Corporation had become an issue of prestige. And despite the tall claims made by both parties on the campaign trail, neither has managed to conclusively win the Kalyan-Dombivli poll. The Shiv Sena has emerged as the single largest party with 52 seats in the 120-member house, while BJP is second with 42. In Kolhapur, too, there is no clear winner, as the BJP and its allies have won 32 seats out of 80, with the Congress winning 27 seats and the Nationalist Congress Party 14. 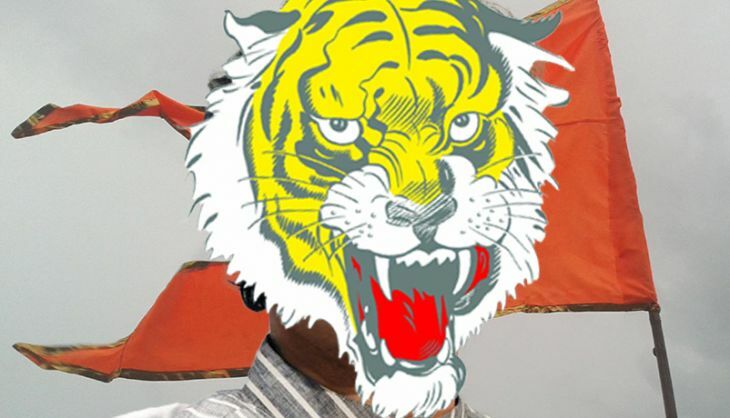 The Shiv Sena has won just four seats. By virtue of its location near Mumbai, the Kalyan-Dombivli poll was being viewed as a rehearsal for the 2017 BrihanMumbai Municipal Corporation election. And the electorate has given the parties a lot to think about. The Shiv Sena is nine members short of a majority, and will need a post-poll ally. On the other hand, the BJP has actually risen from nine to 42 seats, and is claiming the support of two independents as well as five members of the Village Action Committee. But it'll still be well short of the magic number of 61. Of the other parties, the Maharashtra Navnirman Sena has won nine seats, the Congress four, the NCP two, the BSP one and Asaduddin Owaisi's AIMIM has also opened its account with one seat. Nine independents have also won. This is not the first time that these allies have locked horns during the elections. After the Lok Sabha election, the two haven't contested a single election together. Even in the Maharashtra assembly election, they fought separately, but then got into a post-poll alliance. Both parties are claiming that people voted for them on the issue of development. "We need 11 members to reach the magic figure. The situation will become clear in the days to come," said Madhav Bhandari, chief spokesperson of the Maharashtra BJP. Bhandari said the party had every reason to celebrate. "We had 21 corporators in KDMC 15 years back. We were reduced to nine during 2010 elections. This is the highest number of our corporators in KDMC," Bhandari said. He also claimed that the 'phenomenal' performance of BJP is the result of discontent among voters about the Shiv Sena. On the other hand, Shiv Sena spokesperson Harshal Pradhan claimed it was a victory for his party. "The results are a clear indication of the people's endorsement to the developmental work done by the Shiv Sena in KDMC. Though we don't have clear majority, the political combination will be finalised by party executive president Uddhav Thackeray." Political analyst Milind Ballal feels Shiv Sena and BJP have suffered losses in trying to teach each other a lesson. "Shiv Sena and BJP both wanted to get an upper hand on the other. Both parties have suffered a lot in the process. Had they been in alliance, the situation would have been different," Ballal said. "However, the phenomenal gain by BJP will be great morale booster for its cadre." In the process, the BJP has successfully managed to establish itself in Kalyan-Dombivli, and sent a message to Shiv Sena that it should not be taken lightly. "The results are so tricky that BJP and Shiv Sena will have to show a great deal of maturity if they want to go in for a post-poll alliance. Shiv Sena is most likely to try a political combination excluding the BJP," Ballal said. Veteran political analyst Pratap Asbe feels this is the victory for the politics of polarisation. "The Shiv Sena and the BJP successfully polarised the voters in KDMC with their low-level campaigns and the foul language used for each other. The voters were clearly polarised by this. Both the Shiv Sena and the BJP gained in terms of number of corporators, while parties like Congress and NCP were rendered irrelevant. Though the MNS has managed to win nine seats, it too has been shown its place," he said. Ballal adds: "This is something intriguing. When these two parties started fighting openly, people felt that Congress, NCP and MNS would gain from the dispute. But on the contrary, both the Shiv Sena and the BJP have grown since they parted ways. BJP's Bhandari said: "The derogatory and abusive language used by the Shiv Sena leaders during the campaign had taken these elections to an all-time low. We reacted only when Sena leaders attacked the CM personally, which was not at all acceptable to us," Bhandari said. In this politics of one-upmanship, the possibility of horse trading can not be ruled out in days to come. On the other hand, if either side can get the MNS and independents on board, it could get to the magic figure. If the Sena and the BJP can get over their differences and come together, they would have an unprecedented mandate. However, this looks like the most remote possibility.